Full disclosure: I’m no love guru. Full disclosure: I’m no love guru. But after five years in the content marketing world, I’ve come to realize that writing great content is a lot like navigating today’s crazy dating scene. In Facebook, a swipe up on the timeline is the equivalent of a swipe left on Tinder. If you can’t catch someone’s eye in those precious few milliseconds, all hope is lost for a happily ever after. So make each each post count. Make them relevant, funny, surprising, helpful, topical—anything that gets your prospect to stop mid-scroll long enough to want to learn more about you. You probably go all out when planning for that first date, and the same should be true when it comes to your content marketing strategy. Don’t get into it for the sake of getting into it—have a solid content plan that delivers on your marketing objectives. After all, you won’t impress prospective clients with off-topic Facebook posts, irregular blog entries, and sporadic e-mail blasts. You’ll simply come across as a flake who may or may not show up on your date. 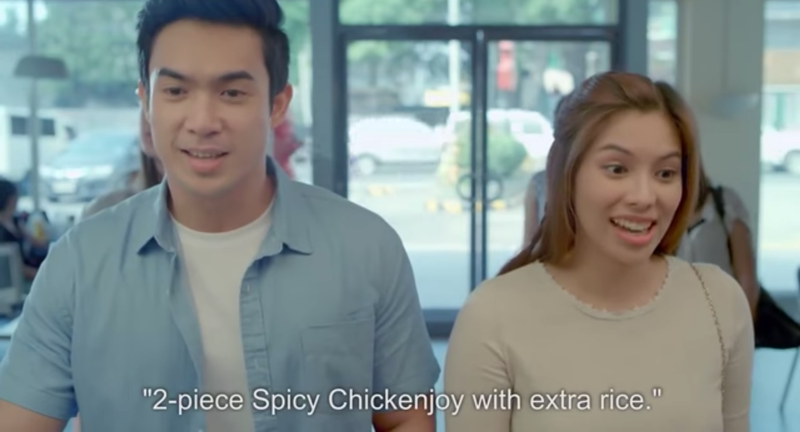 There are two kinds of people on this planet: those who cried buckets after watching Jollibee’s viral videos, and those who questioned whether the ads sold buckets of Chickenjoy. To the hecklers I say: “Would you propose on the first date?” Content marketing, like that crucial first date, is all about making a good impression. People won’t buy your products if they don’t like and trust your brand first. Imagine you’re dating a guy named Gian. Based on these two introductions, which do you think will lead to a second date? No one wants to date Brad the Braggart, so don’t be one. If you want to succeed in content marketing, don’t just sell products or features on your newsroom or Facebook page. Sell what you stand for. We tell clients all the time: “People purchase on emotion. They justify with logic.” Marketers who are able to cultivate strong brand love will always have a solid and active fanbase, even if newer, cheaper and even perhaps better options enter the market. I mean, look at me. I know the iPhone doesn’t have the highest specs. I hate that it shatters at the slightest impact. And I can’t understand why iOS doesn’t have a shortcut for toggling your data connection. But still, I’ve never owned a smartphone that isn’t an iPhone. Why? Because it’s easy to stay with Apple, and its brand value—Think Different—resonates with me. A constant supply of relevant, enjoyable content will help nurture brand love—and develop a community of loyal clients. Like relationships, it takes two to tango at developing brand love. Brands have to be responsive to customers throughout the entire sales funnel, not just at the point of sale. Brands have to respond quickly to customer complaints and issues, and actively seek out ways to strengthen their connection with their most loyal customers. If you’re having a hard time making customers fall in love with you, give us a call and we’ll gladly dispense some hard-earned advice.